Professionals compete with horses who have not been started under saddle prior to June 15th or who have had severe behavioral problems when they began the Challenge. 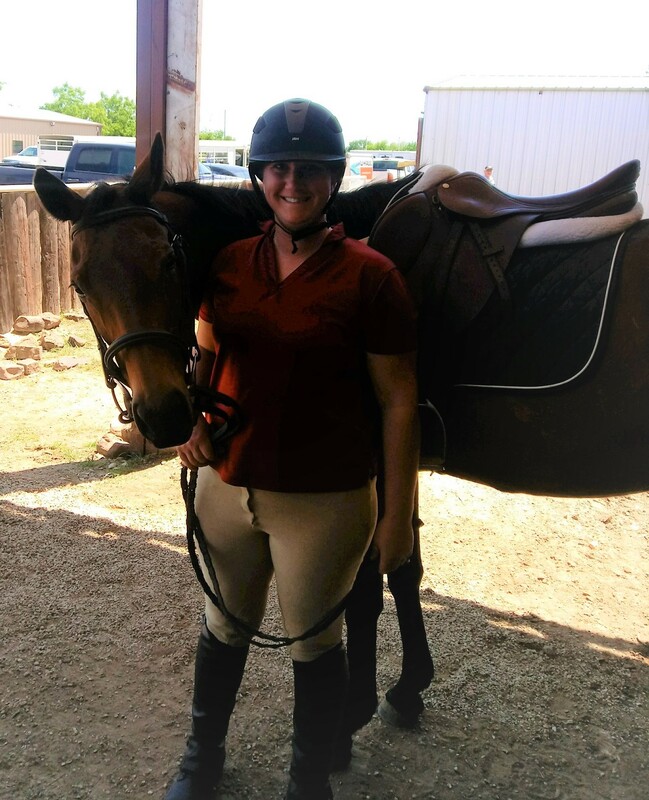 Ashley’s experiences owning, riding, training, falling off of, and teaching about horses has developed her admirable character and driven her to dream big, work hard and reach her goals while helping others do the same. 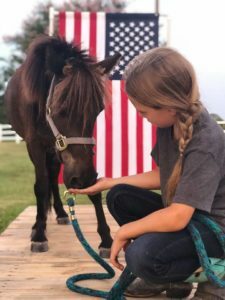 Ashley has been horse crazy since she could walk and started learning more about caring for and riding horses at age six when she joined the Williamson County Hoofpicks 4-H Club. She soon realized horse training was her passion. 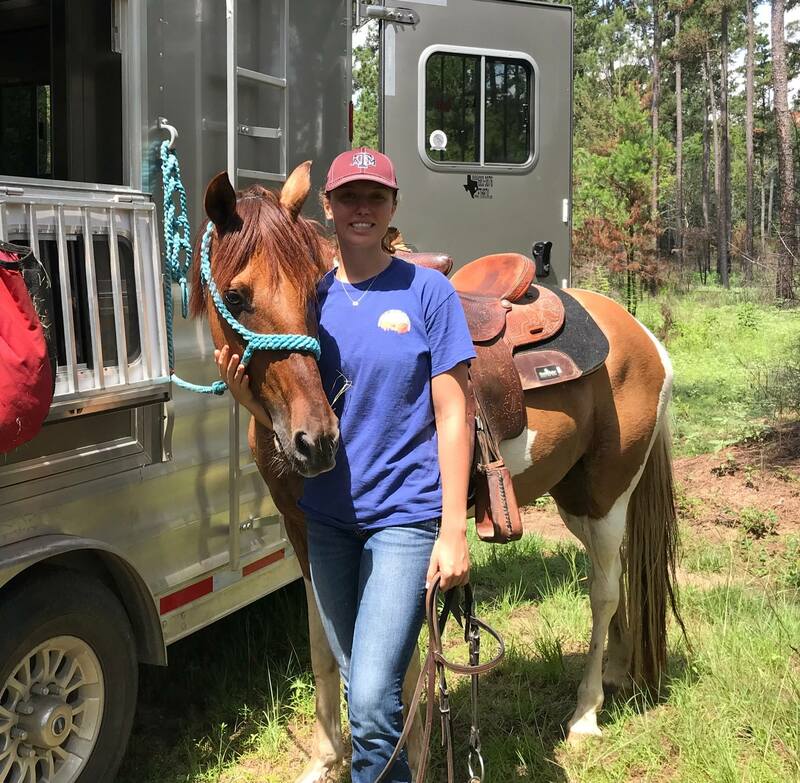 By working with various horses with different issues, Ashley has been able to meet and learn from many talented trainers. Ashley now owns her business, AA Horsemanship, where she shares her passion with others and helps teach those with problem horses. “Helping people overcome problems with their horses and improving their horsemanship skills is extremely rewarding. I want everyone to know you don’t have to give up – there’s always a solution for every horse and rider,” she says. 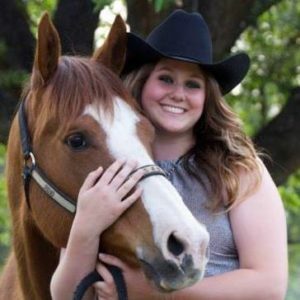 Ashley is located in Leander, Texas and travels around the state of Texas to help horse lovers overcome challenges with lessons, clinics, horse sales, and training. Benjamin is a returning Training Challenge Professional from 2017. This year, his Training Challenge partner is Azure Rey. Azure Rey is a 15 h bay stock type horse. 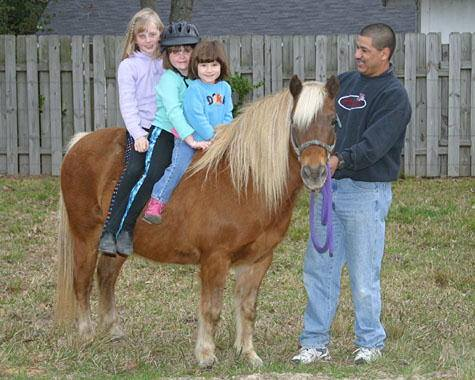 Amanda started taking riding lessons when at just five years old. She showed POA’s, Quarter and Paint horses and competed in several state 4-H shows. It wasn’t until after college that she decided to use her experience with horses to make a difference in young lives. While working for trainers at Waggoner Ranch, she was encouraged to get CHA certified. From there, she started giving beginner riding lessons. She hopes to become certified to teach riders with disabilities in the near future. She says, “I have two young boys whom I adore but definitely keep me busy! I entered into this challenge for three reasons. One, I wanted to help a horse find their forever home. Bonnie is my training challenge partner and I feel so blessed to work with this mare! The second reason was because I wanted push myself to become a better horsewomen and trainer. 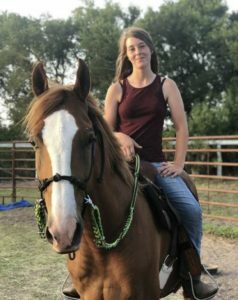 Third, as a mom of young babies, I wanted to make sure I continued to compete for myself and for what I am passionate about: Using horses to help people.” Amanda is located in Wichita Falls, Texas where she has taught high school agriculture science for three years. This year she will be teaching 4th grade English-Language Arts. Jennika’s Training Challenge partner is Sueno, a 14.3 Sorrel gelding who came to Bluebonnet after his owner’s were investigated for neglect. He has a nice blaze a four beautiful socks to match. You can read more about him here. Darrell Gardner is a native of New Orleans, Louisiana currently residing in Bryan,Texas. For most of his life he has surrounded himself with horses. 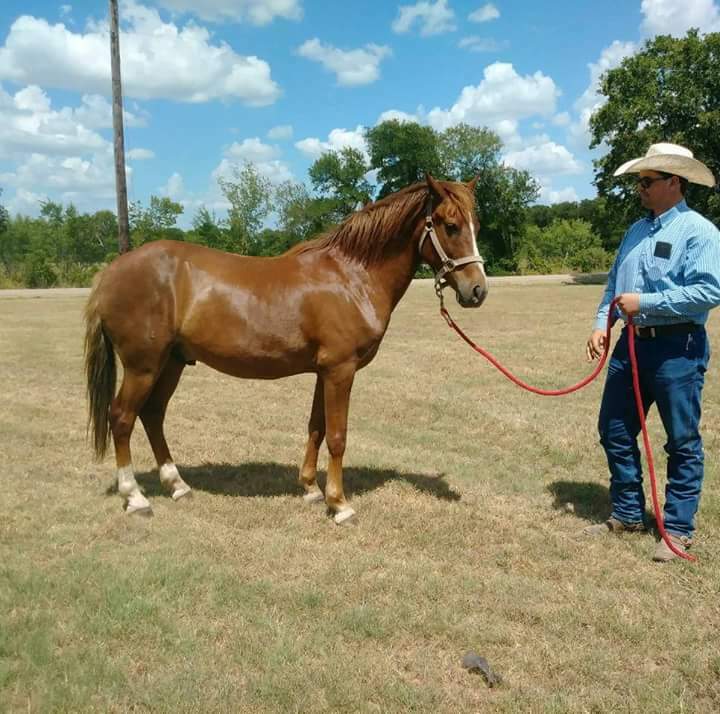 His method of training includes a combination of principles and methods to achieve the best outcome not only for himself as a trainer but his clients and their horses. His methods are based around the principles of love, respect, obedience, and loyalty. Darrell focuses on emphasizing patience, communication and trust. 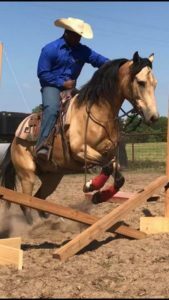 He has become experienced and proficient in a variety of disciplines to include colt starting, problem solving, obstacle course navigation,ranch sorting, and trail horses. 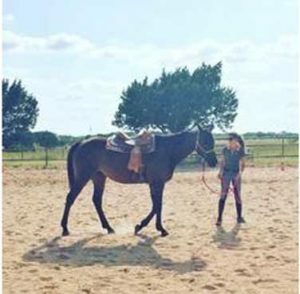 Many of the horses for which he has provided training have needed to correct problems such as bucking, rearing, trailer loading, and redirection of learned behavior. His drive to continually educate and better himself through his training has led him to a great number of events and horse shows. He has competed three years in Extreme Mustang Makeover, finishing as a Top 10 finalist. 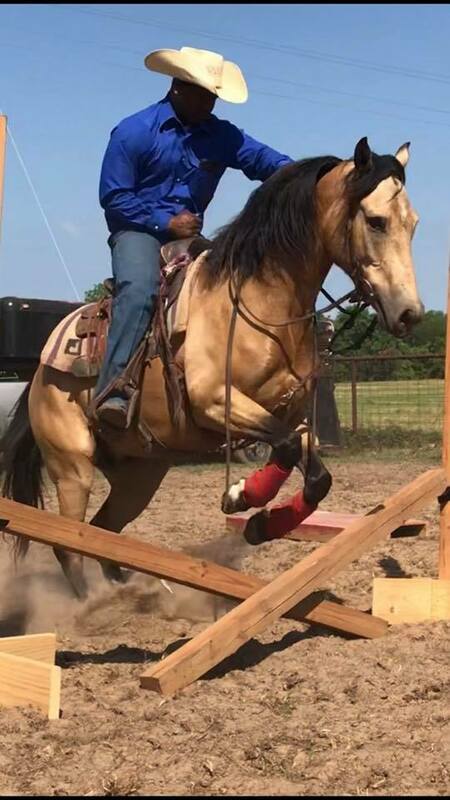 In 2018, Darrell competed in ranch sorting and multiple events with Colt Starting Challenge, USA. The biggest goal Darrell has set for himself is to one day compete in and win the Road To The Horse competition. He strives to become a world class all around horse trainer. Kris Henderickson’s Training Challenge partner is Snapple. Snapple is a 6 year-old Arab-grade gelding. You can read more about Snapple here. You can follow Kris and Snapple on Facebook here. 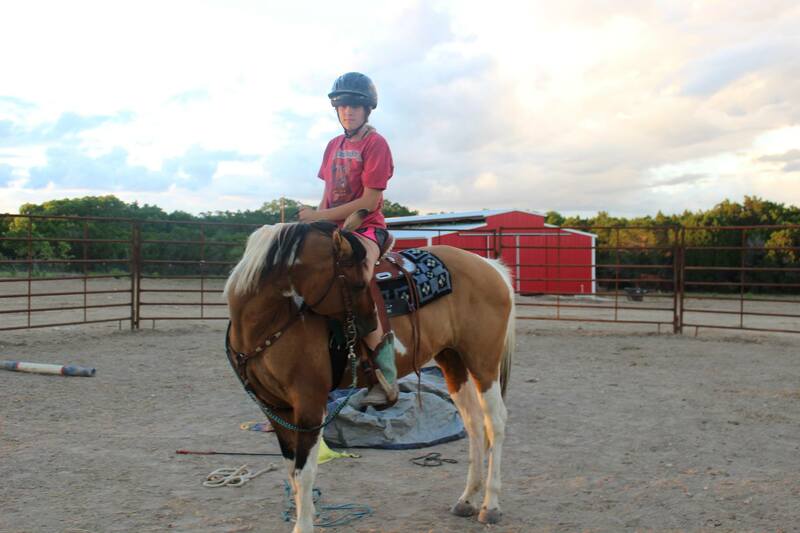 Alyssa started riding at the age of 11 when her parents won a horseback riding camp from the local PBS auction. Two years later, she had saved up enough to buy a horse from a local trader. 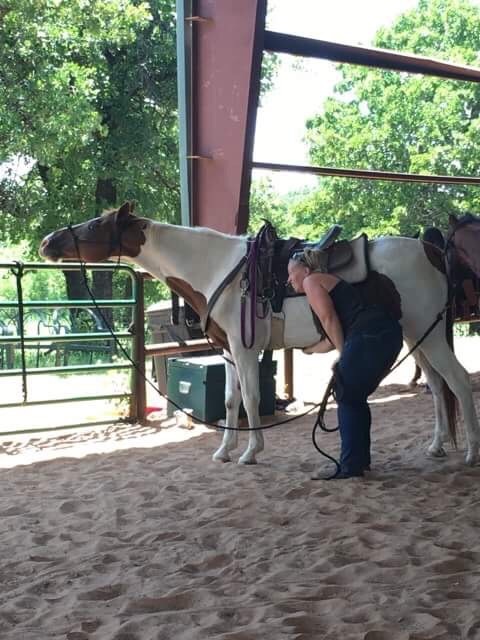 That was when she met Freedom, the three year old AQHA that would go on to be her horse from age 13 to present day, where the two currently teach together at The Balance Point Learning Center. 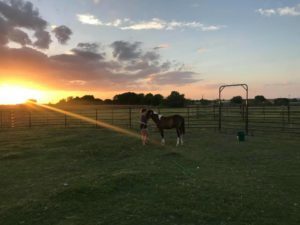 Through spending the endless hours as a kid with Freedom and with many other neighborhood horses she borrowed, Alyssa was able to watch and learn all about how horses interact and communicate. She read nearly every horse book the local library had to offer, comparing how each trainer trained but never really finding a philosophy that really felt right until she stumbled upon the world of learning theory and positive reinforcement. Since then, she’s been working as an advocate for science based and force free training. Follow Holly and Yancy on Facebook here. Michelle Kuester is a natural horsemanship trainer with over twenty years of experience with horses. She has a Bachelor’s Degree in Equine Science and has completed three training apprenticeships, with a total of five years of study in various disciplines: Gaited, Hunter/Jumper, Reining and Western All-Around & Horsemanship. 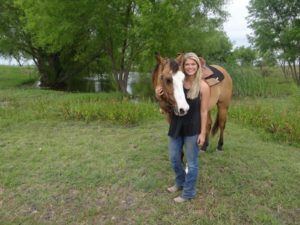 She has ten years of experience owning her own business as a professional horse trainer, and treats her clients with honesty and integrity. Michelle believes solid horsemanship must be present in order to have success in any discipline. 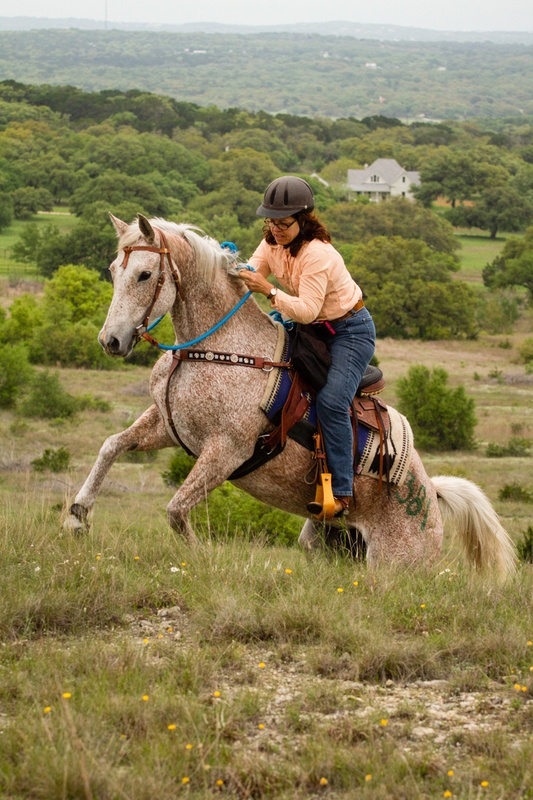 Kelly Lazo is a resident of Caldwell, Texas who has been riding since before she could walk. 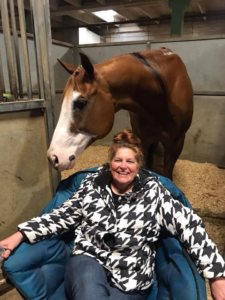 In her decades of experience, she has competed in a variety of disciplines, including on the hunter jumper circuit, roping, and in the performance horse industry, with Paint horses, Quarter horses, and a number of other breeds. 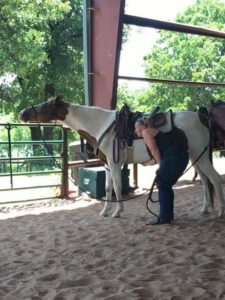 Kelly has been training horses since her teenage years, and has trained and coached multiple world champions in the American Paint Horse Association. She also won the first ever Bluebonnet Expo Training Challenge years ago. This year, her goal is to fully utilize her partner Apollo’s potential to find him a forever home. She is also excited to pursue this adventure with her family, Sabine Lazo (Non-Pro Under Saddle) and Salvador Lazo (Non-Pro In Hand). Zeb started training horses with his dad when as a kid. His dad worked for a man named John Sharp, a man notorious in the northwest for starting mustangs. He taught Zeb not to ask for more than the horse can give. Zeb started on his own starting and training horse business when he was just 15. 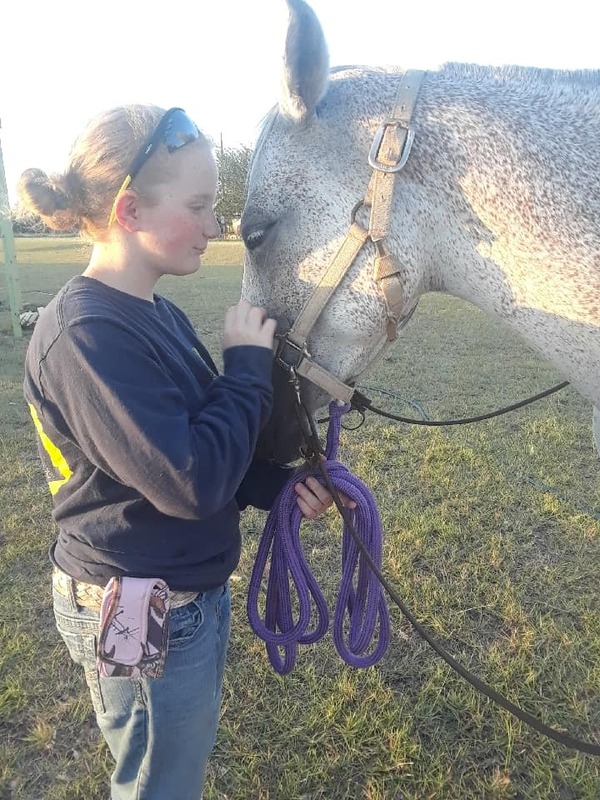 Zeb says, “It’s always been something that had my heart: To be able to take an animal that knows nothing of a human or anything you want from them and transform them into something so incredible.” Zeb credits horses with teaching him to be patient, to be loyal, and all about trust. As a cowboy, Zeb has spent most his life going from ranch to ranch riding colts and pushing cows. 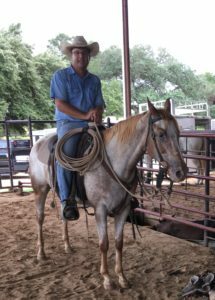 When he had opportunity to work with cutting horse trainer named Russ Elrod, he learned about the cutting horse world and was hooked. 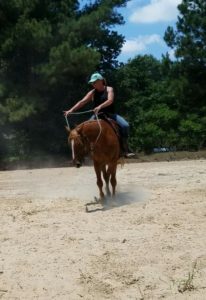 He’s devoted the last six years to perfecting the cutting horse skills, realizing that he wants to become the best and he still has much to learn. Zeb says that the reason he wanted to do The Training Challenge is it’s something he’s always wanted to do but haven’t ever had the opportunity. His goal is show people a horse doesn’t have to have amazing papers to be a genuinely good all-around horse. 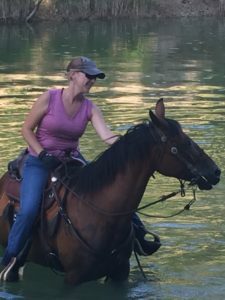 Laurie Oehlerking is a Certified Horseman’s Association (CHA) instructor accredited in both Western and English. She teaches private and group horsemanship lessons at her home facility in Eddy, Texas, the OO’king Ranch; she also facilitates group lessons and obstacle workshops at a variety of area facilities. In previous years, Laurie has competed in the Mustang Heritage Foundation’s Mustang Makeover competition and in the Bluebonnet Rescue Horse Training Challenge. As a senior judge with Texas Trail Challenge Club (TTCC) she designs and implements on-trail, natural obstacles to showcase the partnership between horse and rider. 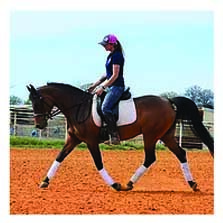 She also serves as a clinician for TTCC rider clinics. In addition to competitive trail, her riding background includes drill team, stock horse shows, team penning, and endurance racing. Laurie relates to each horse as an individual, acknowledging their individual needs and talents to build trusting and willing partnerships. Laurie’s Training Challenge partner is Obie. Obie is a 4 year-old paint gelding. You can read more about Obie here. You can follow Laurie and Obie’s progress on Facebook here. “In all communication, the most important and respectful act is to Listen”. Bernie began his equine career in high school shoveling stalls at a neighboring horse farm just to be around the horses. He later started showing horses in 4-H and then became interested in working-horse events. He developed his skills in Team Roping and competed for many years. He continued to develop his skills as a horsemen and started learning from many of the master horsemen and horsewomen around the nation. 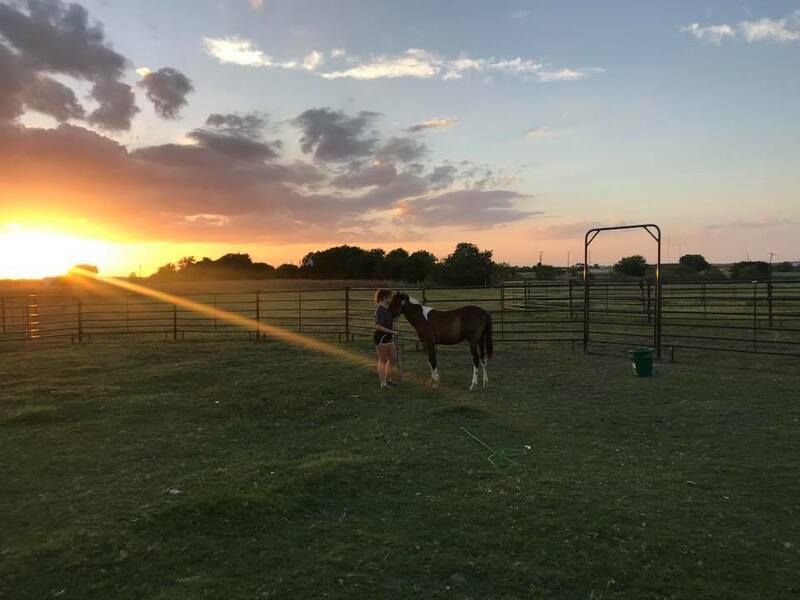 Bernie co-founded Horse Helpers and Consultants in New Mexico to help the human and horse develop a common communication channel to enable better working relationships between the two for over 15 years. 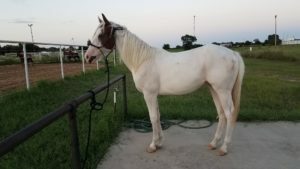 Bernie now resides in Brenham, Texas and continues to help horses and humans learn respect and trust to build a better relationship together. 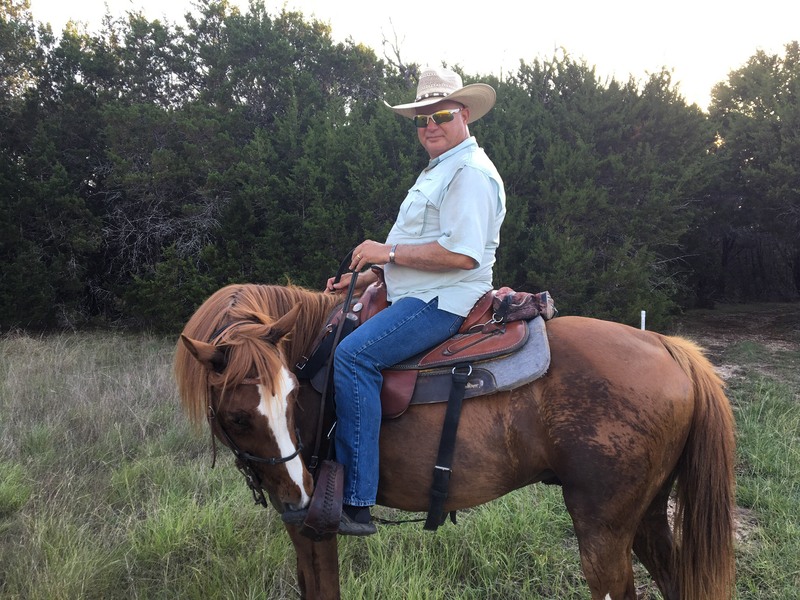 Along with his life’s journey of studying the behavior of horses, he also holds a degree in Agricultural Business and Industrial Technology from Purdue University, is a Licensed Texas Real Estate professional, Accredited Business Broker, and is a Veteran of the Army National Guard. Bernie, first and foremost, gives thanks to God for allowing the horse to be a part of his life and for showing him how the horse can also be the best teacher for people learning about respect and trust in relationships. Horses in this hand have not been broke to ride or have lameness issues that leave them unsuitable for riding. They have been worked with in hand by foster homes (novice/non-pro) handlers. 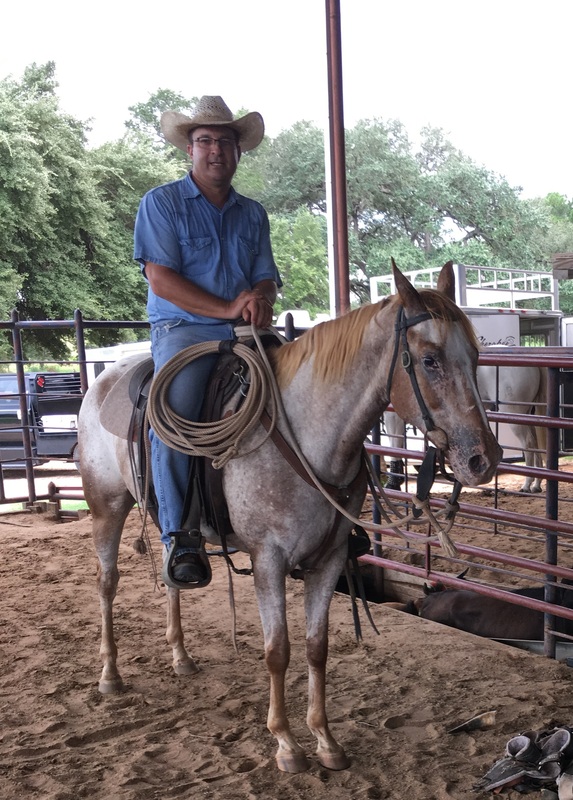 As a long-time horse show husband and dad, Salvador Lazo’s formal training experience is limited. Through decades of experience alongside his wife and daughter, and his own childhood with horses, however, he has a plethora of informal experience as a coach, trainer, and horseman. This Training Challenge will be his first time to compete with horses, but he is excited to show off his partner, Jigsaw’s, skills and add “pony wrangler” to his resume. Scarlet’s Training Challenge partner is Reo. 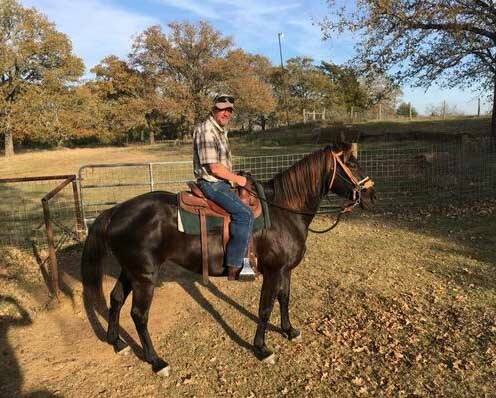 Reo is a year-and-a-half old black pinto gelding. You can read more about Reo here. You can follow Scarlet and Reo on Facebook here. World Class horse aficionado, Frank is a long time rider whose first horse was a two year-old mustang from Nevada that he trained to be a roping horse where they both excelled and won a little here and there. Frank offers care and attention to horse training. Frank is committed to understanding the horse and recognizing the limitations of the horse and trainer. Torri’s Training Challenge partner is Chaser. Chaser is just two years-old and came to Bluebonnet with his dam, Fiona, when they were seized by law enforcement. Read more about Chaser here. Follow Chaser and Torri (and their great selfies) on Facebook here. Mia’s Training Challenge partner is Phantom. Phantom is just a year and a half old and is still growing. Read more about Phantom here. You can follow Mia and Phantom on Facebook here. Horses in this hand have not been broke to ride or have lameness issues that leave them unsuitable for riding. They have been worked with in hand by foster homes (novice/non-pro) handlers who are under 12 years of age. New to The Challenge is Samantha Brown from Angleton. At just 11 years old, this is her first year training horses and, by all reports, she loves it! Samantha says, “I decided to try out barrel racing, then I fell in love with horses.” She’s just getting started with horses and found our Challenge through Facebook. She says she’s having fun and wants to do this every year. I am 11 years old. Makayla Chapman is new to the Training Challenge. Only 14 years old, she’s in the 10th grade, homeschools and has 7 siblings. She is described as a very shy, quiet kid that is more comfortable talking to horses than to people. 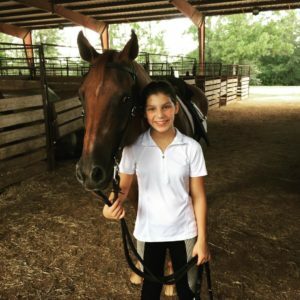 She started riding with Wayne Ridge Farms in Kentucky when she was only five years old. She started with just basic riding and horsemanship lessons and spending time with the Kentucky saddle surfers. She then moved into show/jumping routines and dressage. 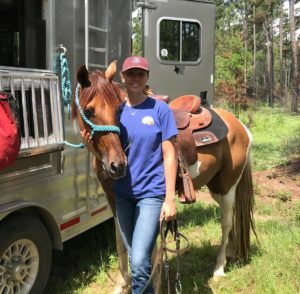 She has always been passionate about horses and says, “that training a horse starts with training the rider first, because the horse has to trust you.” This is her first time training and is hopeful that she can pass on all the love and skills she learned at Wayne Ridge and bring out all the best in Jenkins so she can find a great home and job. Heather’s Training Challenge partner is Sweet Sparrow. You can read about Sweet Sparrow here. 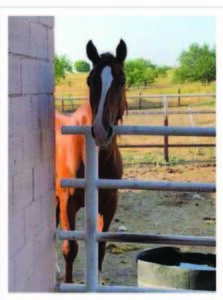 Suraya is 9 years old and loves all equines. She has only been riding horses for about a year and enjoys attending playdays. Suraya has zero fear and loves to go fast on her horse, she is constantly asking her parents if she can “gallop”. Suraya is a very confident. yet gentle rider. When Suraya grows up she wants to be a professional barrel racer. This is Suraya’s first time participating in the Training Challenge. She is training Radar Love, the most adorable pony. Saraya’s Training Challenge partner is Radar Love. Radar Love is an 11 hand, 11 year-old pony and you can read more about him here. You can follow Saraya and Radar Love on Facebook here. Lilly’s Training Challenge partner is McEntire. 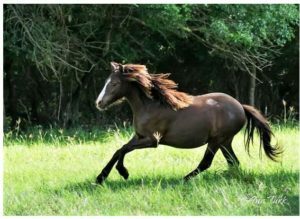 McEntire is a chestnut mini horse – read more about him here. Follow Lilly and McEntire on Facebook here. Layla’s Training Challenge partner is Pixie Dust. You can read about Pixie Dust here. The horses in this division were trained to ride prior to the Challenge and did not have any known behavior problems. Foster homes (novice/non-pro) are putting additional rides on them to help them become more adoptable. explosive detection and patrol dogs. around. She fosters one or two horses or donkeys at a time and has adopted Nacona and Phoebe. 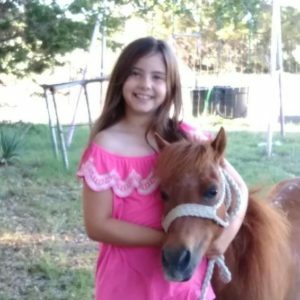 Elena Covington is a 15 year old horse enthusiast from SE Oklahoma. 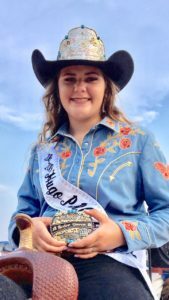 She has been loving and riding horses from buddy seat on the back of her daddy’s mount to her current title of Hugo PRCA Rodeo Queen. 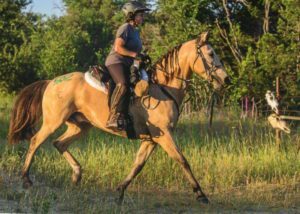 Her experience with horses has come from training for barrel racing, reining patterns and outside on the trails with Texas Trail Challenge Club. 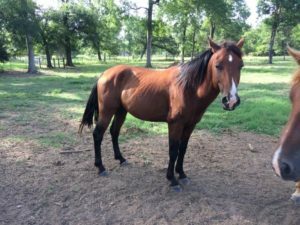 Her goal is to work with her BlueBonnet horse and help him to find his forever home where he will be loved and appreciated. You can follow Asher and Elena’s progress on Facebook here. Victoria’s Training Challenge partner is Promise. Promise is a big 15.3 bay mare. Read more about her here. Cheryl’s Training Challenge partner is Shahan. 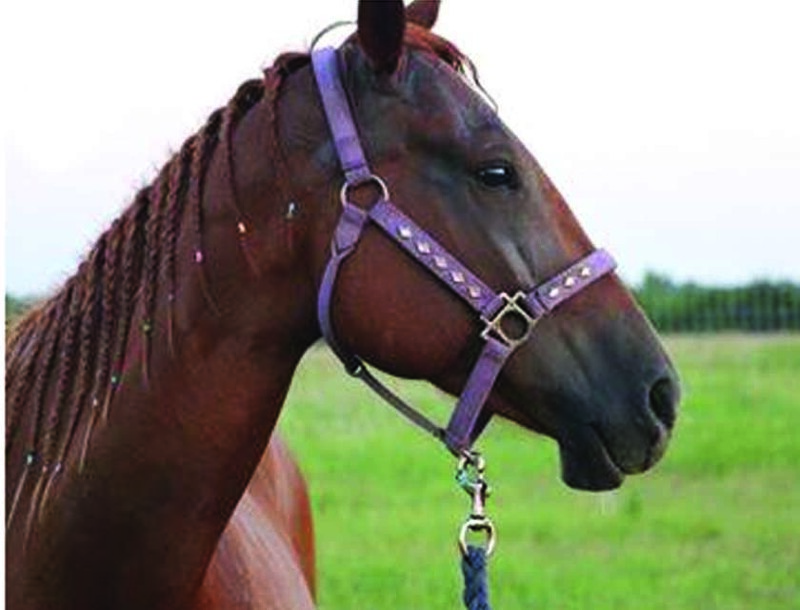 Shahan is a registered 15.2 Arabian gelding – SHAI IBN SHAHANRAH. You can read more about him here. You can follow Cheryl and Shahan on Facebook here. Alayna is 16 years old and has loved horses her entire life. 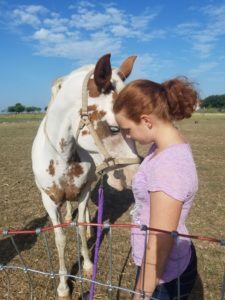 Sad tales of neglected and abandoned horses caught Alayna’s attention when she was just 14 years old, that’s when she adopted her first rescue horse. She now has 3 horses and one mini donkey. She uses her own money to buy and care for her horses. She works two jobs to cover her equines feed, farrier and vet care. She has a passion for rehabilitating horses and giving them a second chance. This is Alayna’s second year participating in the Training Challenge, last year she competed with with Phoenix Fire. Alayna ended up adopting Phoenix Fire, they enjoy riding in parades, playdays, barrel races and in opening flag ceremonies at Rodeos . 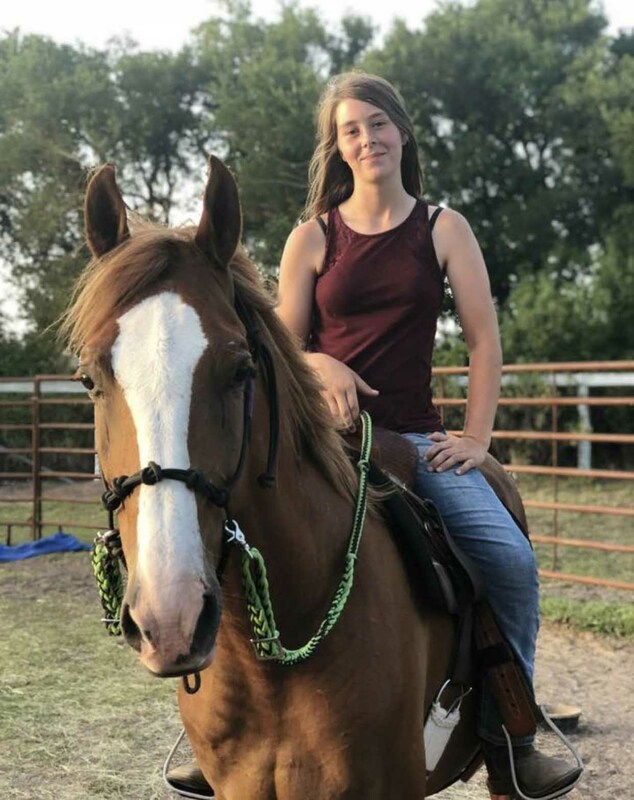 Alayna is a full time high school student and already has plans to attend a Horse Training Academy when she graduates. Her future goals include becoming a professional horse trainer. Alayna’s Training Challenge partner is Eli. Eli is a 15.3 American Saddlebred. You can read more about Eli here. You can follow Alayna and Eli on Facebook here. Stephanie’s Training Challenge partner is Miss Buttons. Miss Buttons is a 15.3 TB cross. Read more about Miss Buttons here. Follow Miss Buttons and Stephanie on Facebook here. Shawn’s Training Challenge partner is Brooklyn. Brooklyn is a 15.3 TB cross mare. Read more about Brooklyn here. Kelly’s Training Challenge partner is Miss Bailey. You can read more about her here. Olivia’s Training Challenge partner is Autumn. You can read more about Autumn here. 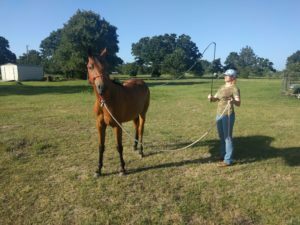 Linda Kirk is enjoying training her 8th Bluebonnet horse, Todd. Linda is an amateur competitor with AQHA and ASHA and she is ranked 3rd nationally with Equine Trail Sports. She believes in training a solid foundation with groundwork and consistency. Amber has two Training Partners for this year’s Challenge, Cleopatra and Tic Tac. For the majority of her 15 years of life, Sabine Lazo has been involved in the horse world. 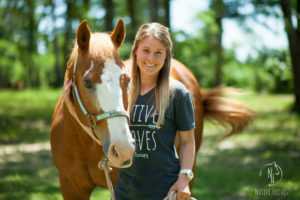 From showing Paint horses on a global level to 4H futurity competitions under her belt, to previous experiences with the Bluebonnet training challenge, Sabine has plenty of experience with riding and training, and is excited to see what this year holds for her and her training challenge partner, Finn. Recently, Sabine won four buckles at The World Show in the Solid Paint Bred Division – a World Championship in SPB Hunt Seat, Eq, and Reserves in SPB Hunter Under, Horsemanship, and Pleasure. It didn’t end there, though. Sabine was also selected to ride trail for Team USA in this year’s Youth World Games. She won her class with a great ride, and Team USA won the 2018 World Games overall. Kendra’s Training Challenge partner is Butterscotch. Butterscotch is a 14.1 dun pinto mare. You can read more about her here. You can follow Kendra and Butterscotch on Facebook here. Lori is a 54 year-old single mother of two great kids and is expecting her first grandchild soon (who will be on a horse as soon as possible!) When she’s not riding, she is a nurse and loves caring for people but horses are her passion. 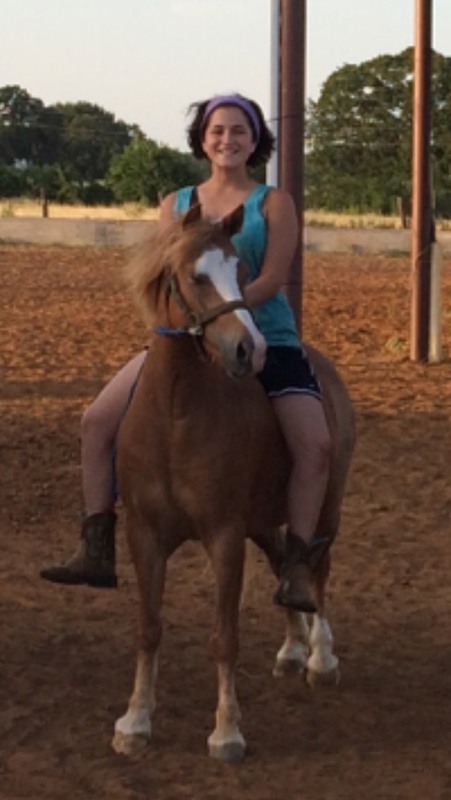 Lori has worked with horses most of her life and has been a member of and has fostered for Bluebonnet since 2013. 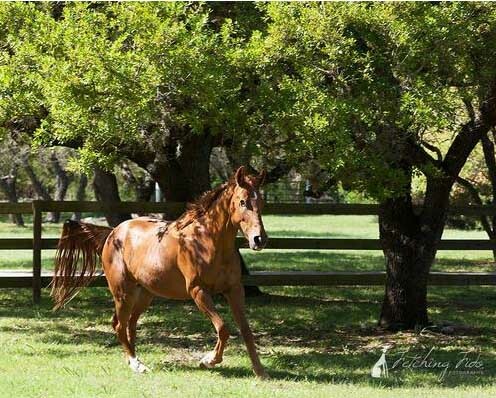 Lori says, “I have fostered several horses I dearly loved and they went on to great homes; it’s a joy to help these animals but my heart horse is Golden Butterfly.” Lori adopted Golden Butterfly in 2014. Lori looks forward to the years to come to be able to continue helping these great animals. Lori’s Training Challenge partner is Sweet Sadie. 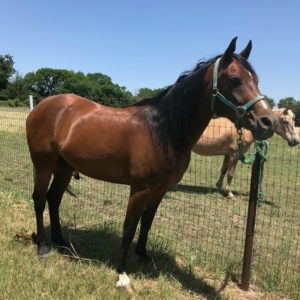 Sweet Sadie is a 15 h sorrel quarter horse type, grade mare. You can read more about her here. Kaitlyn’s Training Challenge partner is Prairie Rose. Read more about Prairie Rose here. 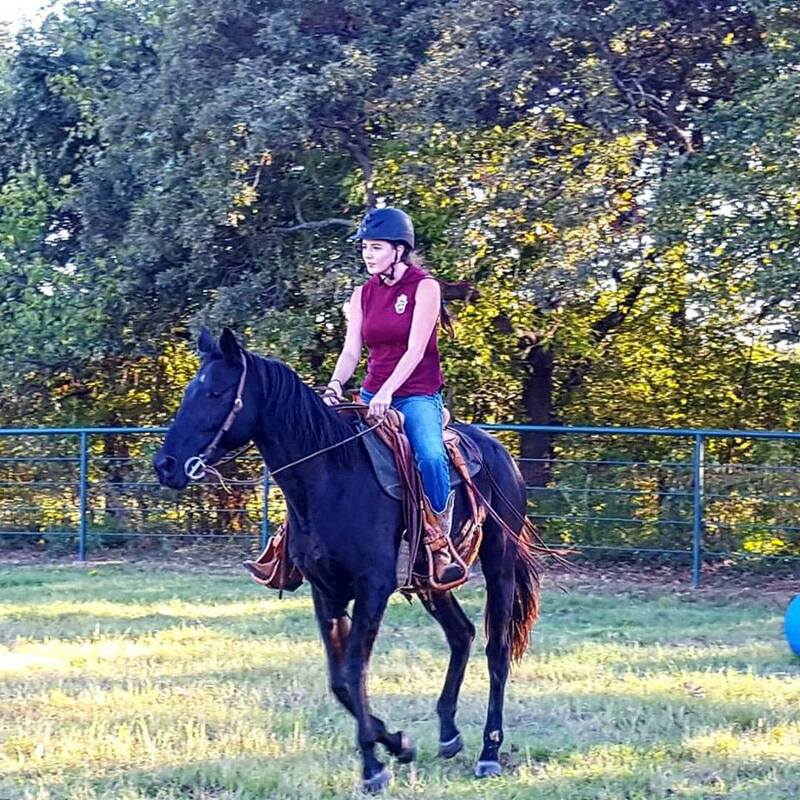 Elizabeth is 13 years old and her love for horses started young; she began riding around the age of two, but due to a military relocation in 2009 was unable to pursue anything other than occasional pleasure riding. 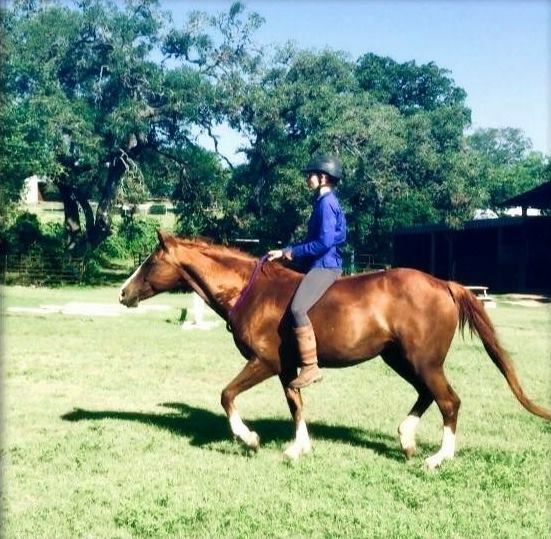 In 2014 Elizabeth’s family moved back to Texas to be closer to family and Elizabeth quickly began riding on a regular basis and soon joined the Tejas Pony Club, where she continues learning and improving her equestrian skills.In 2014 Elizabeth’s grandmother participated in the Bluebonnet Training Challenge and also continues to volunteer with BEHS today. Elizabeth has a very close bond with her grandmother and her grandmother’s experience with the Training Challenge is what inspired Elizabeth to join. This is Elizabeth’s first year with the Training Challenge and she is excited to be a part of such a wonderful program. Milinda Sill is a Texan who enjoys trail riding. Milinda’s training experience is limited to observation, listening, and doing. 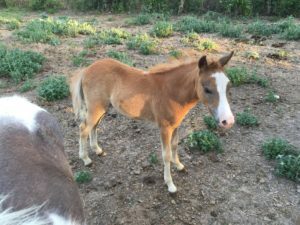 Milinda enjoys making a positive impact on foster horses.